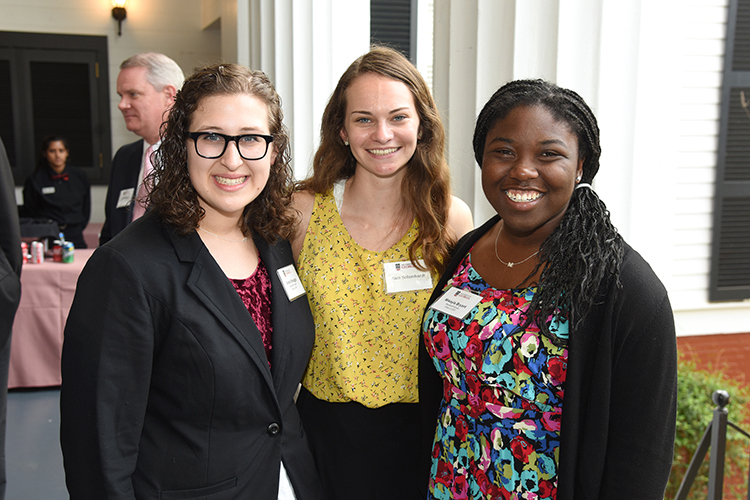 On Tuesday, April 3, the University of Georgia celebrated 30 years of the Woodruff Scholarship. Current and past Woodruff Scholarship recipients gathered in Athens for an evening of reconnection and thanksgiving. Over 70 students have received this scholarship over the years. Named for prominent businessman and philanthropist George W. Woodruff (August 27, 1895 – February 4, 1987), the University of Georgia Foundation established the Woodruff Scholarship Fund to recognize him for giving several significant gifts to the University’s academic scholarship fund during his lifetime. UGA graduates like ESOL teacher Alisia Patton Richwine (BSED ’93, MED ’95) have benefited from the Woodruff family’s generosity. Alicia said that the Woodruff Scholarship allowed her to pursue her education degrees without the burden of student loans. This has led to opportunities such as seeing her first-generation students in Oconee and Clayton counties say their first full sentences in English and see snow for the first time. The George Woodruff Scholarship was first awarded in the fall of 1987. Today, the legacy of the Woodruff Scholarship is carried on by George’s granddaughter, Martha “Missie” Woodruff Pierce. She is a graduate of the University of Georgia and an emeritus trustee of the UGA Foundation. 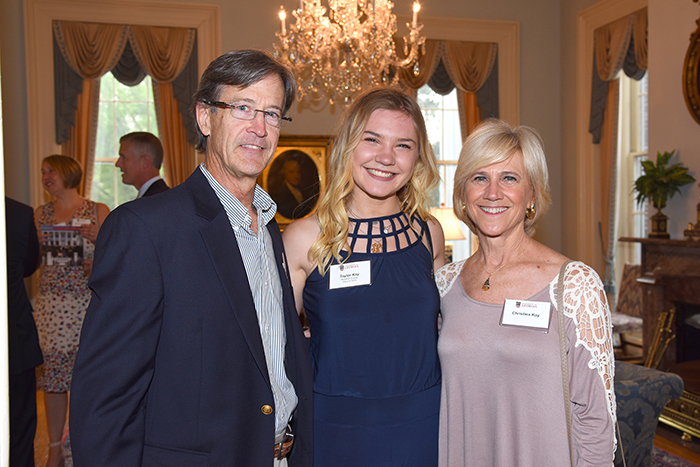 Like her grandfather, Missie shares a passion for education and keen interest in UGA students. 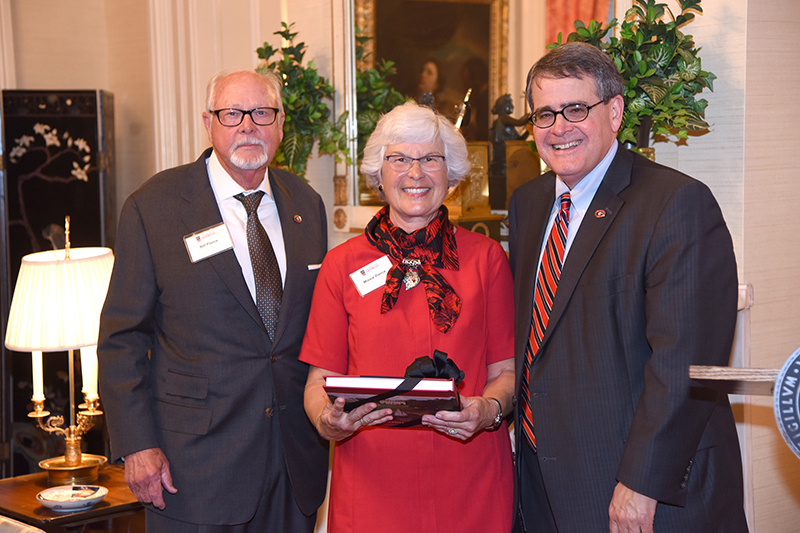 The university presented her with a memory book filled with current and past recipient stories at the 30th anniversary celebration. Current students like Chip Chambers ’19 have been able to use the funds to pursue unique opportunities outside of the classroom. Chip has studied abroad, cheered the Dawgs to victory at the National Championship and he is currently preparing to take the MCAT. This summer, he will participate in an internship at the Greater New York Hospital Association. The scholarship currently provides support for the Woodruff Scholars through the Honors Program. Students receive a $5,000 scholarship that is renewable every year and can be used for expenses and various experiential learning opportunities, such as research, study abroad, unpaid internships and service learning opportunities. For more information, visit UGA Undergraduate Admissions.